Srinagar, Feb 12: Life returned to normal in Kashmir valley on Tuesday after remaining paralysed for a day following a strike called by separatists on the 35th death anniversary of Jammu and Kashmir Liberation Front (JKLF) founder Mohammad Maqbool Bhat, who was hanged on this day in 1984 in New Delhi’s Tihar jail. Restrictions, imposed in the downtown and Shehar-e-Khas (SeK) and parts of civil lines in Srinagar on Monday for security reasons, have also been lifted. However, situation was tense in parts of south Kashmir district of Pulwama, where two militants were killed in an encounter with security forces on Tuesday. Two soldiers were also martyred in the encounter. 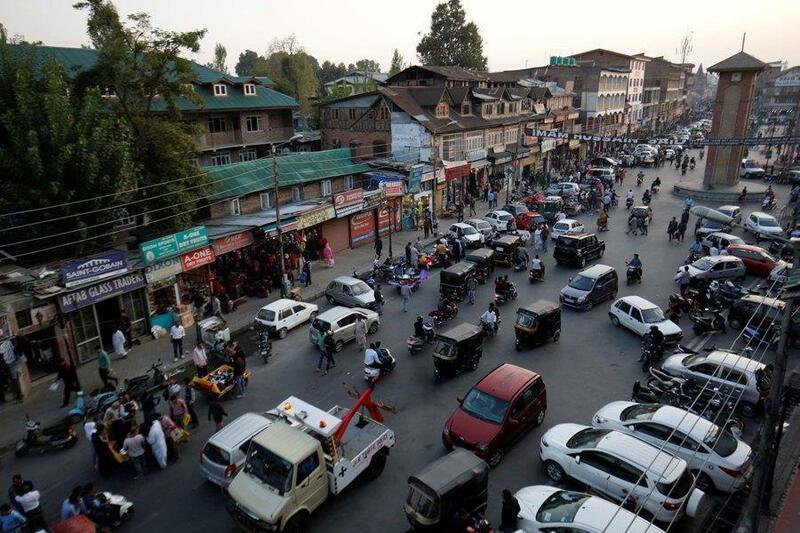 Shops and business establishments reopened in Srinagar and all other major towns and tehil headquarters on Tuesday and traffic was also plying normally on all routes in the valley. Shops which remain closed reopened today in the main business hubs of Civil Lines, including at Hari Singh High Street, Gonikhan, Residency Road, Maulana Azad Road, Mahraj Bazar, Batmaloo, Iqbal Park, Dalgate, Regal Chowk and Budshah Chowk. Roads leading to the Maisuma, stronghold of JKLF and historic Ganta Ghar in Lal Chowk, the nerve centre of this summer capital, which were closed with barbed wires on yesterday are open for public. Reports of normalcy were also reported from this and other north Kashmir towns and tehsil headquarters, a report from Baramulla said. Shops and business establishments are open and traffic plying on all routes, including Sopore. Life was reported to be normal in central Kashmir districts of Ganderbal and Budgam, where business and other activities resumed this morning. Business and other activities also resumed in Anantnag and other south Kashmir district and tehsil headquarters, barring Pulwama, where instantaneous shutdown was observed after the news of death of two militants in an encounter spread in Ratnipora today.Train service on Srinagar-Banihal via south Kashmir remained suspended for security reasons. Mobile internet service has also been suspended in Pulwama, where clashes erupted today.